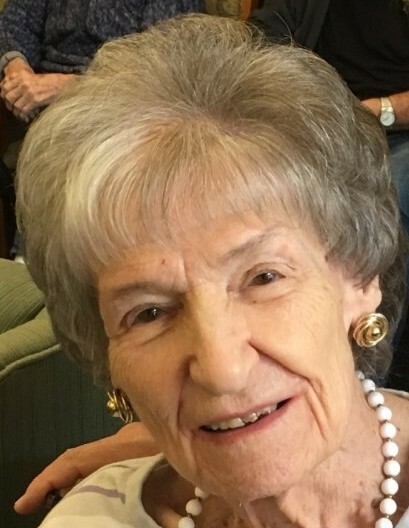 Doris Jean Wright, 89, entered eternal life on Monday, April 15, 2019 at Riverbend Assisted Living in Jeffersonville. She retired from PNC Bank after 21 years, a lifelong member of the Sellersburg Church of Christ and past book keeper for the Sellersburg Children’s Home. Doris was preceded in death by her husband, Charles “Charlie” Wright. Surviving are her sons, Jeffrey A. (Barbara) Wright, Shepherdsville, Brian A. (Melinda) Wright, Sellersburg, grandchildren, Laura (Nolan) and Jennifer, great-grandchildren, Stephen (Emily), Shelbi, Morgan, Jeffrey and River, great-great granddaughter, BonniReigh. Funeral services will be held 11AM Thursday at the Garr Funeral Home in Sellersburg with burial to follow at Sellersburg Cemetery. Visitation will be Wednesday from 1-8PM and anytime after 9AM until the time of service on Thursday.